This is another one of our favorite rice dishes. It is simple, healthy and delicious. A different kind of rice-and-beans dish! 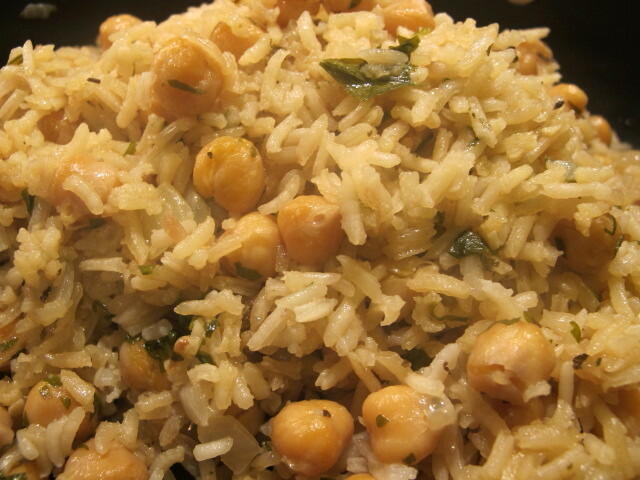 I like to serve this rice with vegetarian Mexican dishes because the garbanzos (chickpeas) add a bit of protein to the meal along with some texture. And leftovers are great as a simple rice salad when tossed with some fresh herbs, tomatoes, cucumbers and a simple vinaigrette. In a wide skillet or saucepan, heat the olive oil over medium heat. 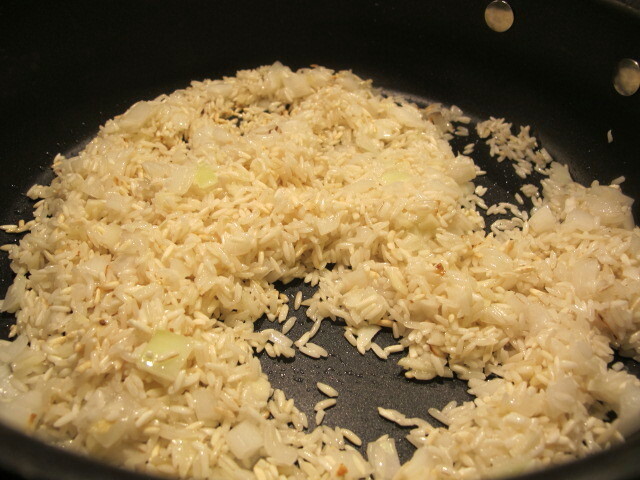 Add the rice, onion, garlic and salt and cook the rice, stirring frequently, until the rice starts to get a little brown. 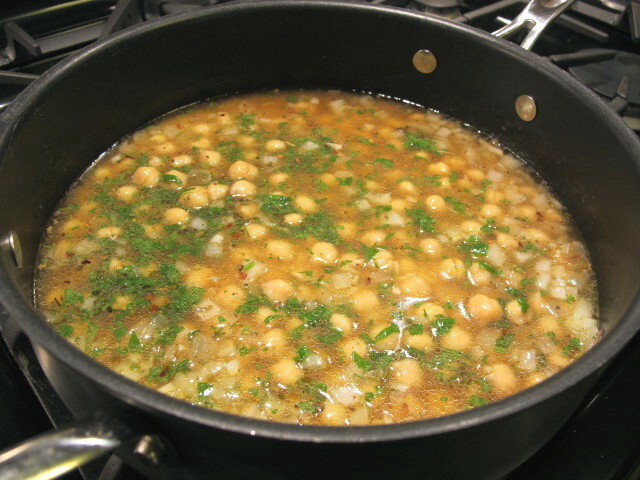 Add the remaining ingredients, along with the chickpeas and stir. Bring to a boil, reduce the heat to a simmer and cover. Simmer until the liquid is absorbed, about 18 to 20 minutes. Remove from the heat and let it sit for 5 -10 minutes. 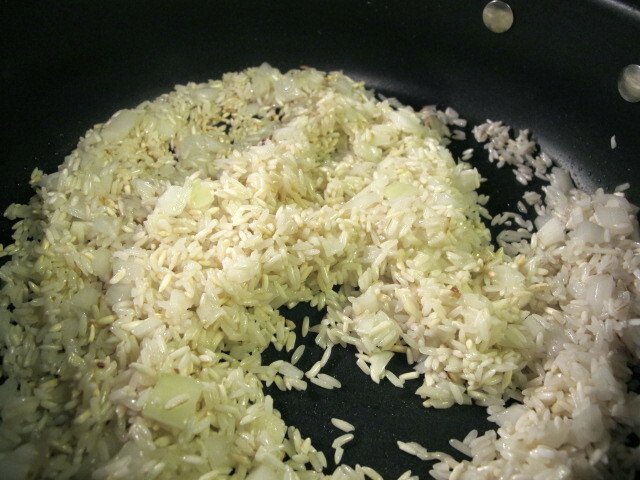 Mix the rice carefully before serving. Did I miss the amount of rice in the ingredients? The recipe calls for 3/4 cups long-grain white rice. I hope you give the recipe a try. It is delicious. This looks so good! I love the idea of cooking it like a rice pudding. Brilliant 😉 !